What kind of video formats can this Media Video Converter input? 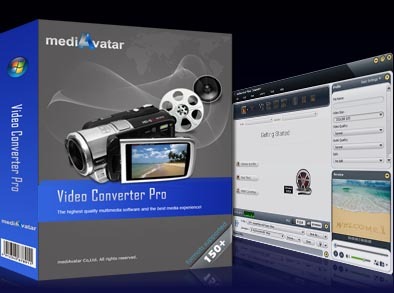 How can you enjoy your videos and audios with this Media Video Converter? Can this Media Video Converter do more with videos? Yes, of course. you can clip any media file segments, merge video clips or pictures, split media files, crop video size, add transitions, subtitles, soundtracks, watermarks, effects to media files...and many more! Download Media Video Converter to convert any videos now! Convert all popular HD video formats like H.264/MPEG-4 AVC, AVCHD Video (*.m2ts, *.mts), Apple TV h.264 720P, MKV, HD WMV, MPEG2/MPEG-4 TS HD video formats from HD to HD, HD to SD. Besides HD videos, also convert between common video formats incl. AVI, MPEG, WMV, DivX, MP4, H.264/AVC, MKV, RM, MOV, XviD, 3GP, FLV, etc. Convert between media audio formats incl. MP3, WMA, WAV, RA, M4A, AAC, AC3, MP2, OGG, etc., or extract audio media files from videos. Create a photo slideshow in any supported video format from your photos, in which you can add transitional effects with this media converter; capture images in batches from movies by presetting image format and capture interval. With great support for NVIDIA® CUDA™ and multi-core CPU processing technology, this media video converter converts media files at high speed. Clip media files to extract as many video or audio segments as you want. You can optionally merge all segments into a single media file. Merge as many video or picture items as you want , then optionally insert transitional effects in between to create a single video file with special effects. By loading subtitle and audio files with this media converter, you embed subtitles and soundtrack to the output video. Crop movie screen size, inset picture or text watermarks, adjust the image saturation, brightness and contrast, apply artistic effects. All make your video special! If a media file is too large to fit your media players, you may split it into several parts averagely according to preset split file size or duration. This media video converter prepares optimal solutions for almost all digital devices on the market: iPad, iPod, iPhone, Apple TV, PSP, PS3, Xbox360, Zune, 3GP mobile phones, Android phones, BlackBerry, Windows phone 7, MP4 players, PMPs, Wii, NDS and many others. If you happen to have several digital devices and want to play a media file on all these, then set multiple profiles for this media file and convert them at one go. The built-in Bitrate Calculator tool in this media converter helps you to customize the output file size just by computing its corrsponding video bit rate, saving your trouble greatly.